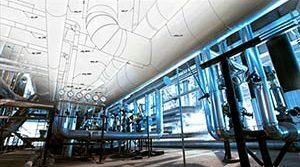 Constant Spring Support Assemblies for an LNG Plant in Central Africa | Piping Technology & Products, Inc. These constant spring supports were modified to increase their installed height by adding a secondary plate and angles, which will be welded to the structural beam. The constants range in size from 20.5” in height, 38.75” in length, and 13” in width. 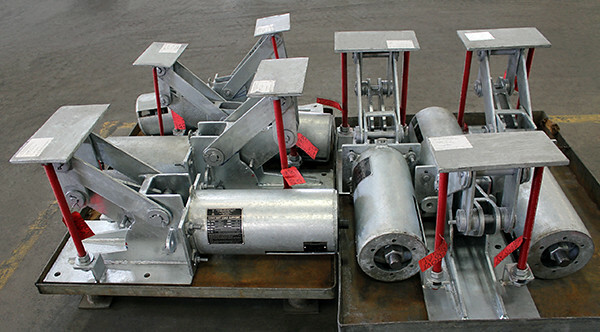 They’re designed for a load up to 1790 lb. and a vertical movement range of 8″. All constants were fabricated from A-36 carbon steel and hot-dipped galvanized. Each assembly went through standard load and travel testing per MSS Standards. 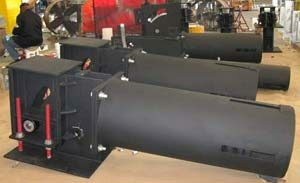 The constants were shipped within 6 to 8 weeks to an LNG plant in Africa.